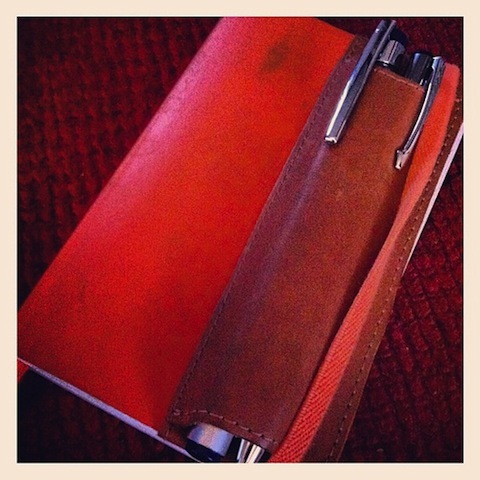 Tag Archives for " Stuff That Works "
It’s guest post day here at Duct Tape Marketing, and today’s guest post is from Paige Wilson – Enjoy! As a small business owner, do you know how much your company earns or loses because of the skills of your employees? How can you increase the productivity and efficiency of your business? Productivity is vital to the success of a business, especially for small businesses. Every business owes its success to the productivity of its employees which is defined as the rate of output per unit of input. Productivity is not about working harder but working smarter and more efficiently. What are the factors that contribute to productivity? The most important factors are high morale, encouragement, and time management. Statistics shows that two out of five business owners rank time as their most important asset. Small companies need to keep encouraging and motivating their employees even in times of stress. Some ways of improving productivity can be using apps and cloud tools which enable tasks to be completed with greater accuracy. Other ways are through steps like managing “dead time”. 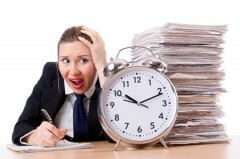 Many employees complain that they are unable to manage and complete their tasks within the stipulated time. One great way to resolve this is by using the Eisenhower Matrix. How are important and urgent two separate things and WHY understanding this difference can change you routine and eventually your life? Before coming to how the matrix can be used, it is important to understand what Eisenhower meant by using the words “urgent” and “important”. The term “urgent” refers to things that demand our immediate attention. They scream out for instant responses and hence can be stress inducing and time wasting. These could be emergencies, telephone calls, meetings, or emails. But do they really merit our attention? Today’s digital technology and extensive use of social media have made it worse with multiple stimuli distracting us. The term “important” on the other hand refers to those things, tasks, or activities that are important for us in the long term. They may refer to our mission, values, goals and need our time and attention. They are not “time wasters” but may never seem “urgent”. 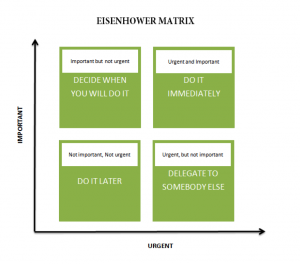 How can YOU make use of Eisenhower Matrix to help yourself and manage your time better? The matrix as depicted above has four categories of tasks. Check out which quadrant the task demanding your attention falls into. The top two quadrants fall under “important” and not “urgent” categories. If they are important give them priority. If the tasks do not fall into the above two quadrants, then either do it later or delegate it to someone who has the time to do it. This would help the work efficiency and help you in maximizing your time. Quadrant 1- Recreation, long term goals. Quadrant 2- Crisis, problems, deadlines. As a small business owner, it would help if you could adapt this approach and incorporate it into your daily life and train your employees to follow this as well. About Paige Wilson – Paige is associated with http://90dollarwebsite.com, an organization that provides business optimization solutions such as website designing, content engineering, social media and web marketing solutions. She loves to write and pitch in brand strategies. In her free time, she likes traveling with her family. It’s guest post day here at Duct Tape Marketing, and today’s guest post is from Rusty Brett – Enjoy! It’s no secret that personal growth and development is easier said than done. Like setting a New Year’s resolution, setting goals for self-improvement is easy — it’s the execution where most people run into issues. Incorporating personal growth into your lifestyle requires effort and perseverance, but the ROI is worth it. Where did this personal development trend come from? Personal learning has transformed industries – from business to healthcare – in the last decade. With the proliferation of search engines and the popularity of social media, there’s no question people have been placing a priority on self-development. Technological advancements have led to the widespread availability of knowledge, which has enhanced elements of self-development in all industries. When we zero in on personal development as it relates to technology, we can see trends pointing to more personal growth involving technological integration, social sharing, and mobile applications. In the 21st century, technology has become part of our lives and society. New technologies have allowed more efficiency and productivity while also allowing for more enjoyment. We use our mobile devices to track our health, pay bills and store schedules and contacts. There are endless uses for these devices, and they vary from person to person. The introduction of Apply Pay shows there is no sign of technological integration going away. Social media platforms have allowed us to become more aware of others. Social media users are sharing aspects of their lives including self-improvement, which becomes a positive form of peer pressure that we see every day. In terms of personal growth, social media serve as a supportive and motivational role. For instance, many people learn about new workouts from Instagram and then feel motivated to try them out at the gym. When people see healthy recipes shared on Pinterest, it changes what they choose to make for their meals that week. And plenty of LinkedIn users read up on industry trends and learn from other professionals through the platform. In addition, LinkedIn can be gratifying for users when they get promoted, endorsed for skills or congratulated on a new job. As addictively entertaining as social media is, the time spent on it can be beneficial for personal development. 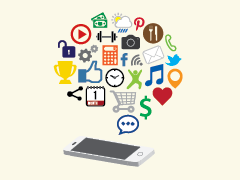 According to a 2014 Nielsen report, mobile users spend an average of 30 hours and 15 minutes per month on mobile apps. About 65 percent of this time is spent on social media, search engines and entertainment apps — and only 6 percent of this time is spent on productivity apps. Prioritizing your time on your mobile apps can increase your personal development. It’s time to utilize apps that are beneficial to all aspects of your personal growth. . In a nutshell, Lift is designed to facilitate the formation of desired habits. If you are looking to change negative habits or learn new skills, then this app is perfect for you. It allows you to customize your goals and provides support and motivation to stick to them. It provides data on how often you have accomplished a task or goal, which in turn gives you feedback. Budgeting your personal finances and staying on budget is a constant problem for many. Mint provides a great service to track instantly how you are doing financially. Not only will Mint organize all of your accounts and investments, but it will also notify you about your bills, create budgets and save your money. Finding motivation to maintain your health can be hard, but Argus makes it a priority to motivate and inspire you. Argus works with Apple’s Health app, but you can also use it on its own. Beating your health goals from one day to the next can be fun and fulfilling, especially when you compete against other users. Organization is key to your professional and personal life. One problem with staying organized is scheduling your time. Tempo is a smart calendar that allows you to pool together your personal and professional calendars and contacts. This way, all of your meetings, events and people are in one place on your phone or tablet. Rusty Brett is the owner and Chief Executive Officer of Lift Division as well as an investor in a handful of other start-ups. With several years of entrepreneurship, business ownership and marketing experience under his belt, Rusty has a passion for not only launching businesses, but also helping other businesses grow their sales and client base. Thursday is guest post day here at Duct Tape Marketing and today’s guest is from Pat Sullivan – Enjoy! We live in email. It’s why I call it “the killer app.” Over 900 billion business people around the world spend a HUGE chunk of every day in email. Which would be fine except for the fact that email hasn’t changed in nearly 20 years. 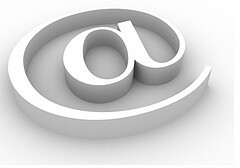 The Rip Van Winkle of technology, email appears to have been sleeping while everything else around it moved on. Our phones are smarter, our TVs bigger and flatter and our cars are far more fuel-efficient (and that’s if they’re even running on fuel at all). Laptops, notebooks, WiFi–it appears that nearly EVERYTHING has gotten better over the past two decades, while email has remained virtually unchanged. You see, the problem isn’t email, the problem is all the things we’re trying to make email do things it isn’t good at. We’re either using a plethora of other applications to try to make up for the deficiencies of email, or we’re trying to force our email to do things it was never designed for: team collaboration, task management, and file-sharing. It’s like using a hammer to carve a turkey. Good tool. Wrong job. Think about it, how many times have you marked an email “unread” just so you’d remember to do something about it? And how often does an attempt at one-to-many communication turn into what I call “Reply-All Hell”? The fact is, the average worker spends up to 60 percent of every workday in email, searching for information or collaborating with co-workers. And 60 percent of our time in email is spent with co-workers. For more on the staggering cost of business email, go here. What we need is email that is built for the way we work today, and when it comes to how we work today, collaboration is the key. Think about it, what if you could shift just 10 or 15 percent of the time (and money) spent in email, to collaborating with co-workers, customers and vendors on the things that move your business forward? Rather than being bogged down in an endless inbox and “reply-all hell,” what if we could spend more time in collaborative workspaces where we can have real-time, on-going conversations with co-workers, customers and vendors. What if you could reduce your inbox by 60 percent, eliminate almost all internal email correspondence and completely eliminated reply-all responses? What if you could open your email every day and see only what you need to, when we need to, and have meaningful conversations with whom you need to? If collaborative email is the goal, the key to success lies in creating, as Robert Abbott wrote in The Big Email Opportunity, “a more automated, integrated and streamlined platform.” That’s because the answer to the challenges posed by traditional email will neither be found by trying to use spit, duct tape or glue to make current email platforms do what they were never built for. Nor will you find it by diving into a seemingly endless sea of single-point solutions. Rather, the success of email designed for how we work today, depends on the adoption of a new paradigm that brings all the social and collaborative tools together in a single faster, more efficient and more effective email platform. Like I said, traditional email is fine for one-to-one communication, and for letting my mother send her grandchildren the latest pictures of her cats, but if we’re going to continue living in our email–and we are–let’s make it someplace we actually want to live. 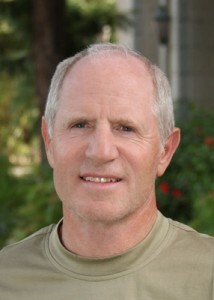 Pat Sullivan, Co-Founder and CEO, Contatta – Heralded as one of the “80 Most Influential People in Sales and Marketing History”, among Henry Ford, Walt Disney, Jack Welch and Bill Gates by Sales and Marketing Management, Pat Sullivan was also twice named Ernst & Young “Entrepreneur of the Year” for both ACT! and SalesLogix. Before he was the Godfather of CRM, Pat Sullivan was a salesman. That may explain why after he became Co-Founder and CEO of ACT!, over 6 million salespeople paid for it out of their own pockets. Following ACT!’s purchase by Symantec, he founded SalesLogix in 1995 and led its revenue growth to $108 million, successful IPO and repurchase of ACT!. Pat has served as a board member for multiple tech companies, and is currently working on revolutionizing the way business makes contact with the launch of Contatta. I’ve always been a fan of the public library. I actually got the reading bug later than some. I guess I was too busy chasing down fly balls and building forts in the wooded acreage where I grew up. In high school I had the good fortune to have a teacher who taught me how to really read a book and although I’m sure I did not appreciate it at the time, I owe him a huge debt. He showed me how to find things in books that I had never noticed, how to have a conversation with the author rather than simply scan the words on the page and, perhaps most importantly, how to put myself in the story. From that point on I became hooked on the library. In college I would go there to study and in some cases just to be among that many books. Few places felt warmer and safer than a library during a thunderstorm. When I started my own business I would often visit the reference section to find out how to do this, how to register that and where to find lists and events that made sense for my business. 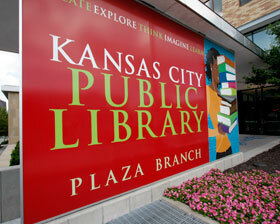 When my children were little we would make almost weekly treks to the basement of the Plaza branch of the Kansas City library. The group of children’s librarians that hung out with us in that place knew the perfect book for us every time. Even as the age of the Internet and free information has caused a shift in how we use our libraries it is the one place on the planet where you’ll likely find a tween researching Gandalf, next to a mom researching gluten free recipes, next to an attorney researching case law, next to a homeless man researching the roots of the Mayan Calendar. That fact alone makes the library a special place. I’ve written some part of all three of my books in my library. When I travel I often pop into libraries just to see different ones. This summer I am absolutely thrilled to have been asked to speak at the American Library Association’s Annual Conference in Anaheim California and I plan to tell them about my fondness for the institution. If you’ve enjoyed a library at some point in your life, make sure you let them know with moral and financial support. These public places are only as strong as the communities that help them thrive. Summer in the Midwest is hot and sunny. 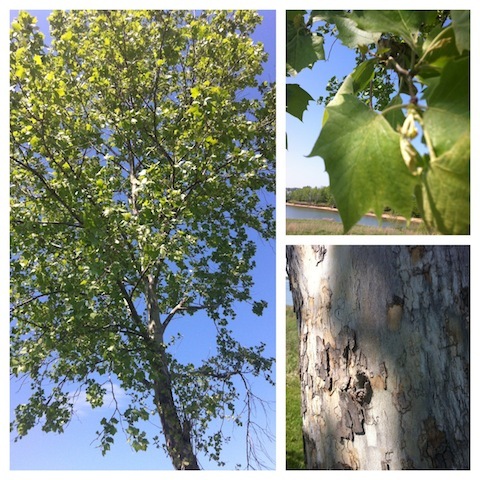 Few things bring more relief during those months than the shade canopy of a tall, sturdy Sycamore tree. The distinctive peeling bark sheets and platter sized leaves of mature specimens make them one of the most magnificent trees in the forest. They grow easily in throughout the Missouri forests and on many a canoe or camping trip along the Buffalo or White Rivers in Southern Missouri and Northern Arkansas you can find massive, centuries old sycamores inviting you to take a nap in their shade. I’ve done my share of reading and writing perched against the truck of a tree. My parents gave me the gift of appreciation for nature by raising me and brothers and sisters on 40 acres of wooded creek and farmland and trees have always been the grandparents of the outdoors for me – providing, watching, shading, and hugging back. It’s been raining a lot here in Kansas City and rainy days always lead me to my Filson Shelter Cloth Packer Hat. I’ve had this particular one for about twenty years now and it’s certainly seen some rain. I wear it mostly to hike, canoe, and camp. Filson makes things to last a lifetime, so I probably won’t need another one any time soon. The Filson story is one that’s become rare in the world of manufacturing. C.C. Filson founded his company in Seattle at the start of the Klondike gold rush and outfitted those headed north to find their fortune. The company quickly gained a reputation for high quality clothing that was both functional and comfortable. 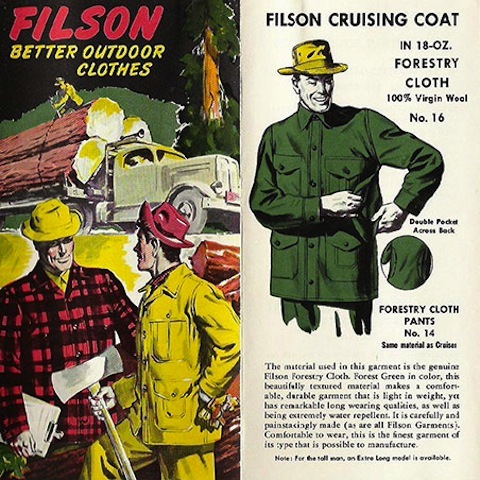 After the gold rush Filson outfitted loggers, hunters and anyone making a living working outdoors. The company still manufactures most of what they sell in one of Seattle’s only remaining union factories. Few things are made to last a life time these days, but Filson products are guaranteed to do so. 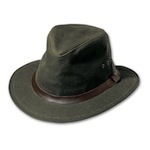 My rainy day Filson hat is simply stuff that works. I have a bit of a thing with watches. Not an Imelda Marcos kind of thing, but when I travel I take three watches with me just so I can pick one that fits the day. I don’t really collect watches and wouldn’t even consider buying a watch that costs more than say, a Mini Cooper, but I like to find vintage watches. 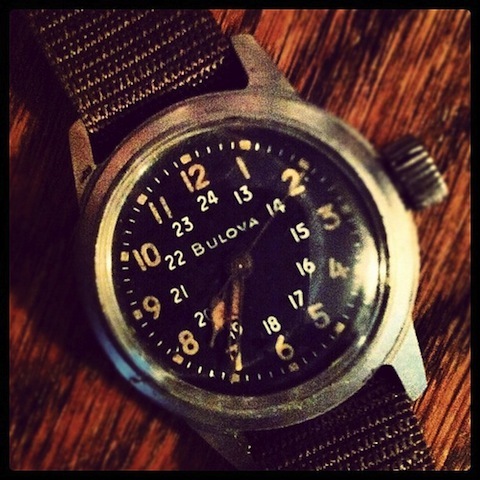 One of my favorite sources in the vintage category is military watches. The military has a long history of watch specification that runs from the standard GI issue basics all the way up to very limited edition prizes awarded to high ranking officers on the occasion of some victory. I bought this one as a present for my wife recently and there’s just something very rich feeling about the way these old watches look, feel and work. 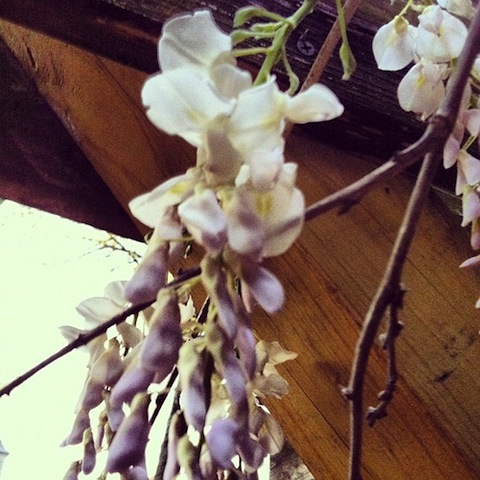 For about the last fifteen years I’ve marked the arrival of spring with the spectacular blooming of a white Chinese Wisteria (Wisteria sinensis) that scales and covers the top of a pergola on my back patio. The plant is aggressive enough to be considered an invasive weed by some, but I can’t help but marvel at the perfect flowers, called racemes, for their grape cluster like appearance and heavy fragrance of perfume that pours off these flowers during their peak. Probably the thing I enjoy as much as anything is that this is a plant that takes hope and patience. Some varieties can take years to mature enough to bloom and the strength of the fragrance grows as the plant gets older. I think that’s where some of my attachment to its arrival each spring is drawn from. The plant is a popular subject in songs and poems and even the occasional infamous street name. 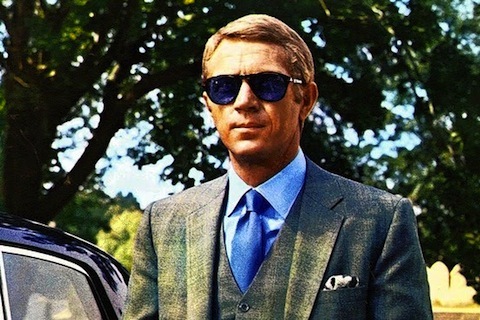 Persol is a brand of Italian made sunglasses that hit the big time due in part to Steve McQueens penchant for wearing them in movies like the 1960’s Thomas Crown Affair. You’ll also see them on Danial Craig’s portrayal of James Bond. I’ve owned a pair of Tortoise Persol Ratti 69102 for years and I just love wearing them. On top of the fact that they are clearly stylish, I’ve never put on another pair with lenses like this. You can spot a pair of Persols by the signature silver arrow detail in the hinge. The other distinction from a technical standpoint is the hinged temple technology that is one of the reason they fit like no other. The Persol brand is not nearly as well known as the more popular Ray Ban, but the quality of a pair of handmade vintage Persols is unmatched. The company was purchased by Luxottica – the same company that owns and, in some views, wrecked Oakley and Ray Ban. Many of the glasses are now made in China – so your best bet to find a hand made Italian pair might be to troll eBay or find a good eyewear shop that carries some vintage stock like Silver Lining Opticians in New York.